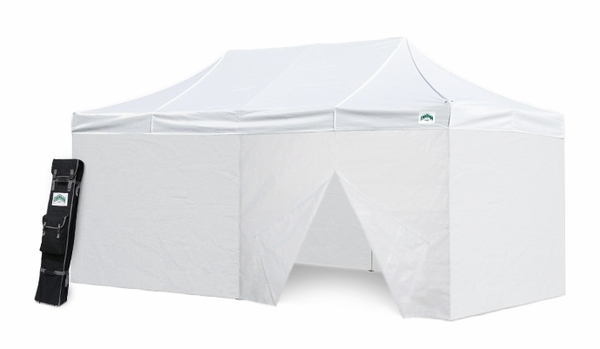 Whether it's for your back yard or a business application, this sturdy Caravan Classic Canopy with Professional Top will do the trick! Its enhanced steel frame features an exclusive pull pin design for fast, easy operation, and the frame's textured powder coating seals in years of lasting durability. Keep your enterprise open and inviting with industry-leading height clearance. 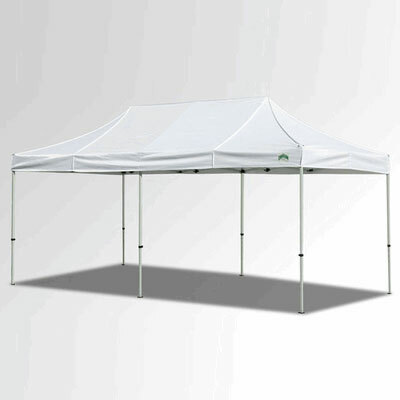 Available in a large variety of colors, this 10 feet by 20 feet canopy offers maximum versatility and durability. * Please Note: Sidewalls come in White ONLY with this unit. Please Choose Canopy Top Color.